Six Brand New Data Recovery Modules in Version 2.0! Easy file recovery for Disks/Drives/Flash/Photo/SD/RAID and More! 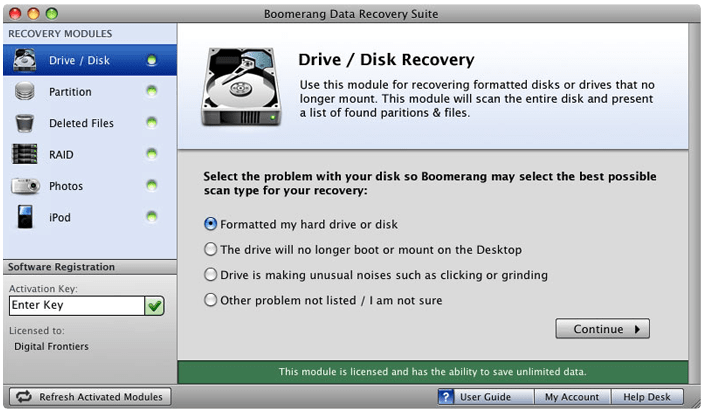 Recover a complete disk that no longer mounts or is formatted. Scans the entire disk and present a list of found paritions and files. A partition is a “slice” of a disk that mounts as a volume on the desktop. 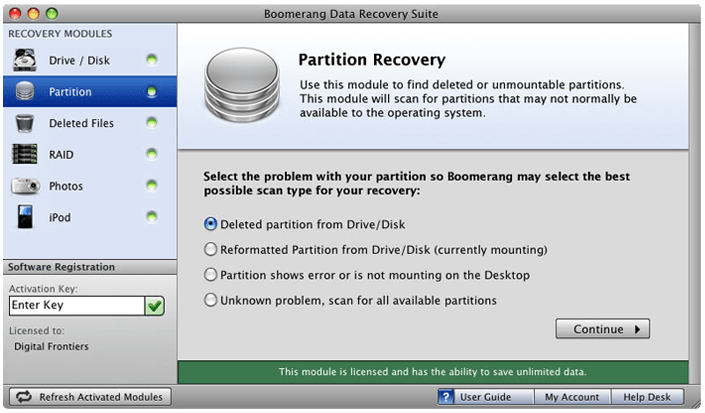 Scan for missing or deleted partitions on a disk to quickly find that lost file. Show and hide deleted files. Icons clearly marked with a red “D” show a file that is deleted. Easily recover it back in it’s original place. Lost photos? This tool is for you! Using an iPhoto-like browser, you can recover lost photos from all kinds of camera, sd and photo cards. A complete break-through tool, the RAID reconstructor can re-assemble RAID volumes and help recover your mission critical data! iPod® got you down? Connect up your iPod and recover your data quickly and efficiently. Recover your mac and windows files like a pro! People all over the world love the ease of use and fast file recovery, and review our service and agree it’s the lowest cost application for your hard drive. Corrupted memory bad sector on your boot disk? Formatted SD card? Home users to administrators use our easy app and zip through file recovery. Supports Mac OSX (HFS and HFS+), FAT16&32/NTFS and including Windows 10! Download and try it free! Compatible with Windows 98, NT, 2000/2003 Server, WinXP, Vista and 7 /8 and 10. All external USB, Flash/Memory Cards, SD, etc! Compatible with Mac OS X 10.11.3, 10.11 (El Capitan), 10.10 (Yosemite), 10.9 (Mavericks), 10.8 (Mountain Lion), 10.7 , 10.6, 10.5. 10.4! 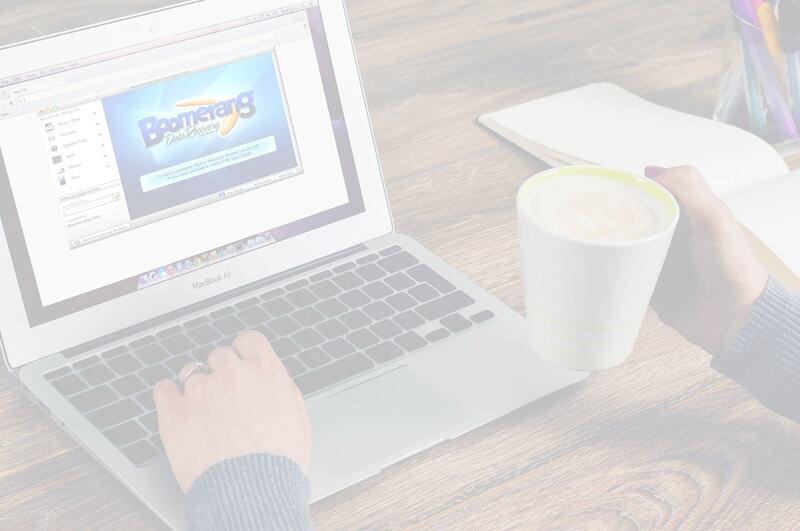 What our clients say about Boomerang Read what users have to say about working with Boomerang. Makes Data Recovery Easy And every purchase includes our superior support and after sale service! Lost some data files? We can recover it! Quickly tackles any type of file recovery, including deleted files, lost or damaged partitions, RAID, camera/flash cards…. recover everything! 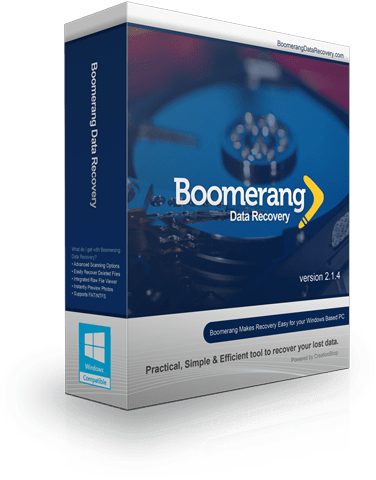 Our recovery technology is the result of years or research and refinement and is the best choice for getting your data back quickly and affordably. Supports FAT/NTFS and including Windows 10! Download it free! Recovering lost data is as easy as using your Mac And yes, you can expect the same simplicity on your Windows PC too! 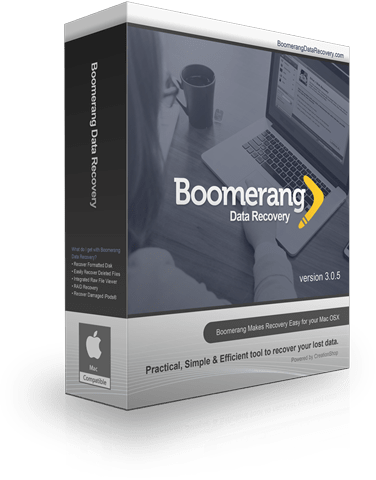 Now everyone can have access to the most sophisticated data recovery software available for Mac! Powered by six different data recovery modules, now anyone can recover lost data from numerous types of situations including damaged or un-mountable drives, damaged partitions, deleted file and even RAID hard drive. Our easy-to-use recovery wizard will walk you through the steps to recover your data quickly. Try us out risk free with a full version download, and you’ll quickly see why we’re your best choice for getting your data back. Period. Try our file recovery full version now for free and see just how easy lost file and data recovery can be! WHAT WE DO Recover data, files, and restore peace of mind! Without exception retain your lost data and compatible even with windows 95 and a host of other operating systems, workstations and servers, installing is simple and recovery is fast. Maintenance is free upgrades, data recovery like a wizard! Harddrive, email, x-raid, striped you’ll marvell at every instance and never face incomplete recovery. iPhones too! 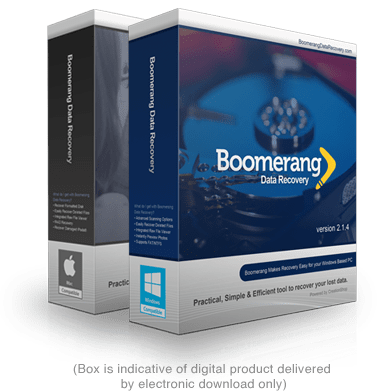 Features 7 data recovery to instant restore without complexity. Image/data/video diskdigger will recover even invisible (not hidden) and visible documents. Recycle bin on NT/2000/XP/2003/Vista/7/8/10. No risk (free trial), one of the most popular and best data recovery software! What Our Customers Say Read what others have to say and why file recovery is so easy! I was sure I’d opened Pandoras box when a testdisk went haywire with my Toshiba, and all my Quickbooks data was lost along with my WD passport. I tried an open source app a friend from Las Vegas referred and then a freeware but that failed. 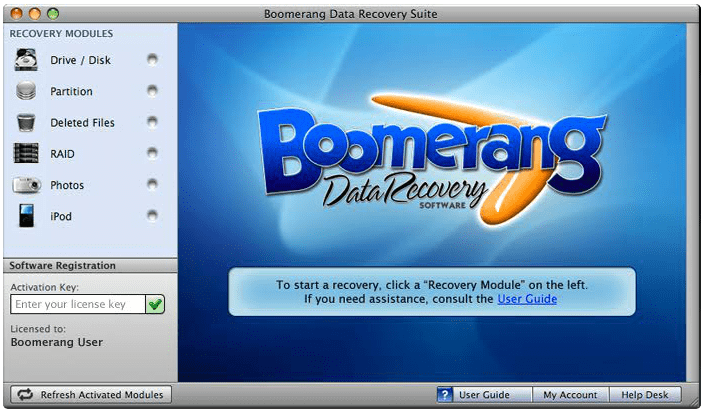 Boomerang is a kickass program and I highly recommend it. As a mackeeper I really truly was in a bind when a flood of fragmented missing data corrupted my session. Don’t panic Boomerang shows folders even missing files showing even compressed data. Critical of my hopes and unsure I’d get readable recognizable data, I specified and saved it all. As an average geek, I restored my iPhone with the full version like an expert. I love the freeware serial and direct support. Now I recover online my OS X laptop and never think about the loss or lost data. Power data recovery for us all, I don’t know how the techniques work but this utility is the best I’ve ever seen. GET YOUR DATA RECOVERY TOOL TODAY! Have any questions? Feedback? We respond to all emails straight away!